The Kerala government will now take legal steps against Prime Minister Narendra Modi for comparing the state with Somalia, Chief Minister Oommen Chandy said on Thursday.Addressing a hurriedly-called press conference here, Chandy said he had hoped that Modi would withdraw his remark that came in for widespread criticism in the state.The comparison, he said, "has affected Kerala and the people of our state in a big way. "Since his statement came at an election rally, we are looking at the legal aspects on how we can approach the Election Commission", the Congress leader said.Chandy said the latest Human Development Index ranked Kerala as the number one state while Modi's home state Gujarat was at the 11th place. "He is the prime minister of the country. He is not just a BJP leader to demean our state. He perhaps forgot that Kerala is a part of India. It has really hurt Kerala and Keralaites." Modi said on Sunday that the child death ratio among tribals in Kerala was scarier than even Somalia.He also cited media reports to say that tribal children in Peravoor were seen foraging for food in a garbage dump - to make his case that the state had not been properly governed.Ever since Modi made the remark, the social media has been flooded by the "PoMoneModi" hashtag which takes its origin from a hugely popular film dialogue of superstar Mohanlal. Loosely translated, it means: "Get lost." Former chief minister A.K. Antony also asked Modi to apologize for the remarks. "Somalia is known as a land of pirates and Modi just can't go without apologizing," he said.CPI-M general secretary Sitaram Yechuri, who is camping in the state, accused Modi of defaming Kerala and its people. The BJP, which has never won an assembly or Lok Sabha seat in Kerala, has been making a valiant attempt to defend Modi.Union Minister for Chemicals and Fertilizers H.N. Ananth Kumar told reporters here that Modi won't react to controversies. 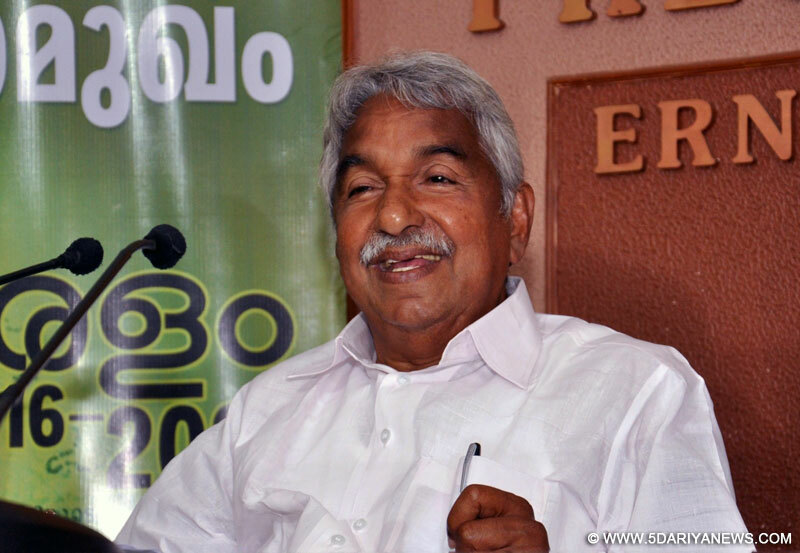 "Chandy is trying to use this to deviate from issues. The sentence that should be used is 'PoMoneChandy'," said Kumar. "Modi left Kochi last night without withdrawing his remarks. Malayalees all over the world are upset over the remarks of the PM," Chandy said in a Facebook post earlier.